The west coast swing continues this week as we head to The Honda Classic held at the PGA National Champion Course in Palm Beach Gardens, Florida. We have more about the course near the bottom of this write-up but lets get right into the top Sleeper picks for this week's Honda Classic. Once again we will be using GolfStats.com to compile our list of sleepers. We will be looking at their performance charts, player course history and key historical stats when playing on this course. 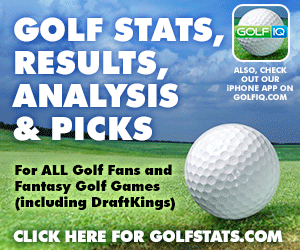 If you are playing fantasy golf this week make sure to check out their website for advanced stats analysis of the Honda Classic Tournament, the tools available to you are a must use if you want to be profitable in fantasy golf every week. Out of all the top salary guys I expect Russell Knox to go overlooked the most, I can't see his ownership being much higher than 10% across various sites. I think most players are going to go with a Gary Woodland or Tommy Fleetwood over him. If you toss out last year's result where he missed the cut he's been pretty damn good on this course with 2 top tens in 4 attempts. He also is 6th in GIR this year at 74% which should be a big factor on a tough course. Hadley has a lot of things going for him so far this year on the tour, he's 5th in scoring average, 16th in Birdies and 21st in GIR. These are all adding up to maybe a career year for him with 4 Top Tens already and 9 for 9 in cuts made. He has only played 3 times at the Honda Classic and it's been a mixed bag with 1 missed cut but two Top 25's. This could be the year he gets a Top Ten the way he's going, he has shown flashes on this course before. Our 2nd Russell makes the sleeper pick list this week and it's a bit more of a risky play. He is having a up and down year either missing the cut or making top 20's. He's 4 for 6 in cuts made and none of his stats are overly impressive except for being 10th in Driving Accuracy which should keep him out of trouble this week. I'm going to stick with a sleeper pick for course history as well with Graeme McDowell. 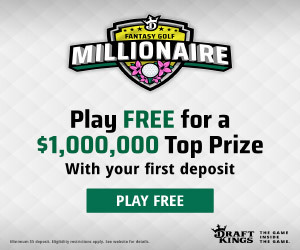 The obvious high priced guys who perform well here are Sergio Garcia and Ricky Fowler (who won it last year) and you should for sure have exposure to them in multiple DFS lineups. But lets try and win the big money with McDowell, he was on a horrible run of 3 straight missed cuts until last week's Genesis Open where he finished a respectful 26th. He has a long history at this course which I like as I think experience will play a big part with such a tough course and likely windy conditions all weekend. A big part of identifying fantasy golf sleepers each week in looking at past history and having all the stats possible to find the gems. There are many tool sites out there and you can try them out but our recommendation is GolfStats.com. They have the largest database of historical golf stats we have seen and there write-ups every week are invaluable if you play fantasy golf on a consistent basis.